A commercial architect is someone who designs buildings and other structures for business use. 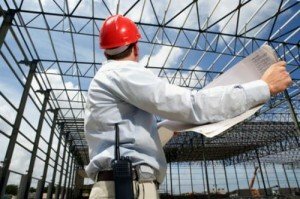 The commercial architect will work with a wide variety of clients and must be able to design buildings for many different types of businesses, as different industries have their own unique building needs. Sometimes the building design must be completely unique, such as a building designed for a theme park. This article discusses how to become a commercial architect and what to expect from the career. Commercial architects are needed almost anywhere there are businesses in need of new buildings. Naturally, areas with higher populations will have a greater need for commercial architects. However, a good commercial architect can build a solid career in even a small town and position themselves as the area’s go-to specialist. Good commercial architects are able to incorporate sound design elements into a building along with special requirements from the client that will meet the ongoing and potential future needs of the business. A lot of commercial architects work for themselves as freelancers. This allows them to take on asa many or as few projects as they like and to work only with clients they choose. Other commercial architects work for large architecture firms, but they don’t have the freedom to choose their projects or clients that freelancers do. However, their employment and pay is more stable in most cases. Commercial architects can only work in the states in which they have architecture licenses. They may also decide to specialize in certain areas of building, such as environmentally-friendly buildings, historical building preservation or replication, theme park buildings, and many other “niche” areas. They may also choose to be generalists and build any type of building their clients need. A minimum of a Bachelor’s degree in Architecture is required to become a commercial architect. Having a Master’s degree in the same subject may make you more marketable to architecture firms as an employee or to private clients as a freelancer. Your program of study should teach you how to use Computer Aided Design (CAD) software, as this is the standard software used by today’s commercial architects. After getting your degree, you must take your state’s architecture licensing examination. The requirements for licensing vary from state to state. Your university should be able to tell you about the licensing requirements in your state before you graduate and provide you with study materials for the exam. Most states require a combination of education, experience through apprenticeship, and passing the licensing exam to get an architecture license. 1. Work as an apprentice architect. Most states require between one and five years as an apprentice after graduation from college before you can take your licensing exam. 2. Start networking to build up your visibility and reputation. You should start doing this while you’re still an apprentice. Join professional architecture groups and associations and go to their meetings. 3. Continue your education. Most states require commercial architects to complete a certain number of continuing education hours each year to keep their licenses. Attending state-approved conferences and lectures and taking state-approved self-study courses fulfills this requirement. The average annual salary of most commercial architects is $72,550. The job outlook for commercial architects is positive for the near future. The U.S. Bureau of Labor Statistics expects an increase in demand for environmentally-friendly buildings and sustainable architecture to create a 24 percent increase in employment opportunities from now until 2020. This means the job market is ripe for commercial architects, particularly specialists in “green” buildings.